Ideas for free summer activities in the city. When it comes to warm-weather fun, spending a lot of money does not have to be part of the equation. A variety of free summer activities are scheduled in Boston and New York City in the next few months, each offering a surefire good time that won’t hurt your wallet. As a matter of fact, there are a lot of options that don’t cost a dime. 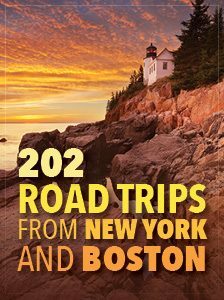 Here are a few highlights in each of the Northeast’s two largest cities. Most visits to the Museum of Science are about what’s inside. More than 1.5 million visitors come through annually to enjoy science, technology, math and engineering exhibits looking at everything from electricity to biology. But in July and August, Thursday and Friday evenings are about what’s above the museum. 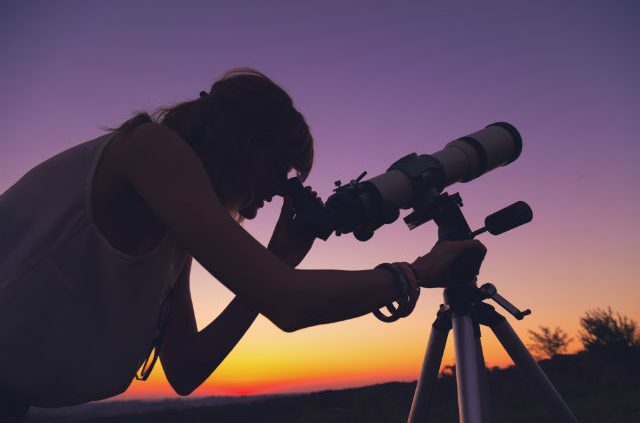 Stop by the Gilliland Observatory, on the roof of the museum’s parking garage, at 8:30 p.m. to see stars, planets and the moon, weather permitting. Billed as the country’s largest Fourth of July festival, Boston Harborfest will celebrate its 38th year with four days of free summer activities, beginning July 1. The 215th Army Band will perform during opening ceremonies at Faneuil Hall, and the long weekend will wrap up with a costumed interpreter performing a dramatic reading of the Declaration of Independence at Old North Church on Independence Day. This year’s schedule includes everything, from historic re-enactments to scavenger hunts. The Boston Landmarks Orchestra will hold a series of free concerts beginning July 18 at the Hatch Shell, on the Charles River Esplanade between the Longfellow and Massachusetts avenue bridges. The season includes the return of Channing Yu and the Mercury Orchestra after a highly acclaimed appearance in 2017. If you’d like to enjoy the Boston Pops Fireworks Spectacular, you’ll want to get your seat early. The event is massively popular, and it’s easy to see why. What other occasion do you have to celebrate the most patriotic day of the year along a scenic river in one of the nation’s most historic cities? The Boston Pops will perform at the Hatch Shell on July 3 and 4. There will also be another concert featuring renown guest artists. Both concerts are completely free and begin at 8:30 p.m., though only the July 4th concert includes fireworks. Combine an awesome musical performance with a beautiful setting, and you’ve got a memorable event. Boston’s Central Library, in Copley Square, will host free, one-hour concerts Fridays and Wednesday in its courtyard. Jazz, classical and folk are just some of the genres on tap. Not sure how to start your weekend? The Highland Street Foundation is ready to lend a hand. 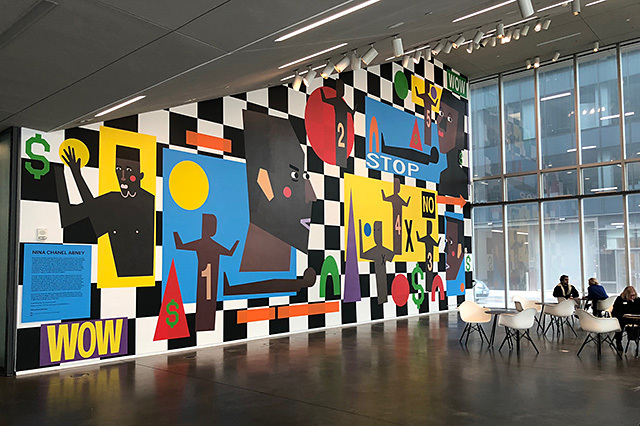 Entering its tenth season, Free Fun Fridays provide no-cost and free admission to 85 awesome cultural venues, ranging from zoos to art museums statewide, including several in Boston and nearby communities. The season runs June 29 through Aug. 31. A bit outside Boston, but worth the trip. The 2019 Lowell Folk Festival takes place from July 27-29 on five stages. Check out music and food from around the world, crafts and a family fun area with street performers, hands-on activities, face painting and other free summer activities. The Commonwealth Shakespeare Company returns to Boston Common this summer for its 24th season. Audiences will be treated to “Cymbeline,” a play about deception and intrigue with mistaken identities, twists and turns, and the all-consuming quest for true love. Performances will be held Tuesdays through Sundays, from July 18 through Aug. 4. Bring a picnic blanket and breakfast to these Friday morning children’s music concerts at Payson Park. The kids get to play outside while also listening to the stylings of kiddie rockers like Vanessa Trien & the Jumping Monkeys, Matt Heaton & the Outside Toys, Karen K & the Jitterbugs and Super Cool Beans. Bring the kids along to the Wilson Farm for a tour tailored specifically to them! Go behind-the-scenes of the greenhouse and the animal barn to see how the farm brings produce, flowers and fun to life. The tour is free for all, but is intended for children from ages 5 and older. This sand sculpting festival, which takes place on Revere Beach from July 26-28, is a perfect summer outing for kids. Not only can they gawk at the incredible and gigantic sand sculptures being made, but they can also make their own. The festival has a huge interactive kids zone for sand building, as well as a learning center for novice sand sculptors. Battling a tough case of the Mondays? 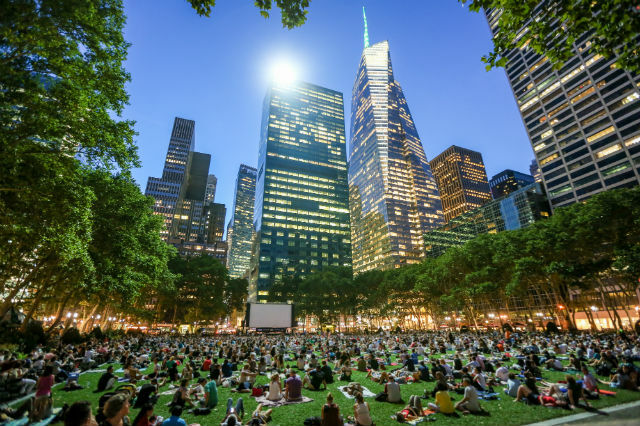 Head over to Bryant Park – located between Fifth and Sixth avenues from 40th to 42nd streets – for the HBO Bryant Park Summer Film Festival. The lawn opens at 5 p.m., and films begin at sunset. Films are preceded by classic cartoons. Click here for a schedule. Movies with a View, at Brooklyn Bridge Park, is another free film option. Every Thursday evening in July and August, about 7,000 folks gather on the Harbor View Lawn. Lincoln Center Out of Doors will celebrate its 48th edition this summer. The free, outdoor summer festival runs from July 24 through Aug. 12. Music, dance, spoken word poetry and family events take place across the Lincoln Center campus, between Broadway and Amsterdam Avenue from West 62nd Street to West 65th Street. Artists come from around the world. It wouldn’t be Independence Day in New York without this annual, humongous fireworks show – a highlight of the many free summer activities in New York. More than 3 million people come from far and wide to see the spectacle. You haven’t seen it all until you’ve witnessed this annual showdown, arguably the best-known event in the world of competitive eating. Crowds gather at the flagship Nathan’s Famous on Coney Island every Independence Day to see who can eat the most hot dogs in 10 minutes. The festivities begin at 10 a.m. with music and dance performances. The women’s competition begins at 11 a.m., followed by the men’s competition at 12:30 p.m. About 40,000 people are expected to attend. 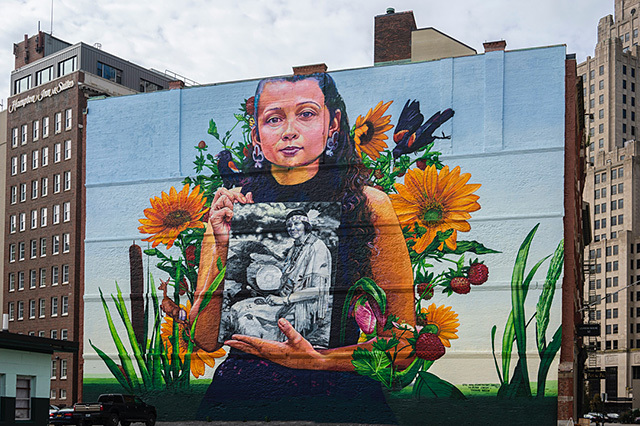 From June 15-24, the annual River to River Festival, presented by the Lower Manhattan Cultural Council, most certainly has something you’ll enjoy. Festivities will include more than 100 performances such as dance, music, theater and the visual arts at more than 30 sites across Lower Manhattan and Governor’s Island. As part of the event, on June 19, several museums and historic sites within walking distance of each other will be open for free as part of the Night at the Museums event from 4-8 p.m. Residents and visitors alike will enjoy another season of free concerts around the city thanks to SummerStage. Billed as the city’s largest free outdoor performing arts festival – and a great example of free summer activities in New York – the annual event includes more than 100 performances in Central Park and more than one dozen neighborhood parks throughout the five boroughs. Genres performed throughout the summer will include indie rock, hip hop, jazz, R&B, salsa, bhangra and opera in different languages. In addition, poetry and contemporary dance are also scheduled. Every Wednesday at the Bronx Zoo is free admission day, and there’s no better time to visit the zoo than in summer. The Bronx Zoo is one of the greatest zoos in America, with an intense focus on conservation and education. In addition, there’s even a new Children’s Zoo area, where kids of all ages can pet and interact with a range of different animals. Don’t miss their best exhibit, the Congo Gorilla Forest. Can’t make it on a Wednesday? Save up to 20 percent when you purchase tickets in advance online with AAA. This summer, Madison Square Park will host a weekly Kids Concert on Wednesday mornings. The concerts take place on the Farragut Lawn, and will feature kiddie music darlings such as Suzi Shelton, Father Goose, JoJo & the Pinecones, Justin Roberts & the Not Ready for Naptime Players, Josh and the Jamtones, and The Not-it’s. 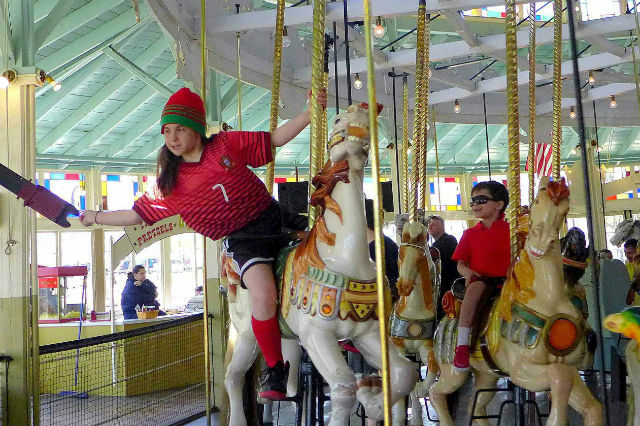 Did we miss any free summer activities in Boston or New York City? Let us know in the comments section. Click here to add your own events to our calendar. This post was originally published in 2018 and has been updated. Article tags: AAA, brooklyn, coney island, food, historic sites, home, lawn, Massachusetts, movies, save, science technology, technology, tours, trip.